Hey everyone, normally I don’t repost a post. Last week something got messed up with all of my websites. It was something with a malware or virus that affected the back end of all my blogs. It is all worked out and everything is working properly. Host gator got everything worked out, except Volume 56 of Shop Shots. I am really impressed by Host gator. They spent all day fixing all of my sites. If you ever need hosting, I can’t recommend them enough. There is a link at the right of the site, use it, don’t use it, it doesn’t really matter to me. But if you need hosting, they are the folks to use. Alright, lets get these pictures rolling. We start off with this tire blowout. This poor customer was driving on the highway, and had her tire fail. Many times when you hear folks talk about having a blown tire, it is not to this extreme. The reason for her issue was due to having old tires. The tires on her car had good tread. The problem was, the tire was dry rotting. When you look at your tires, or have them looked at, be sure the entire condition of the tire is examined. If you look at only the tread depth, you could be missing a safety issue It doesn’t matter how many certifications that a mechanic has. We do more oil changes than just about any other repair or service. That means we never mess up oil changes right? WRONG! This is a drain plug for an oil pan. It is the primary thing that keeps the oil in the car. The tech that performed this oil change, made a small mistake. He installed 2 crush washers. Basically he put 2 gaskets on. Despite what you think, 2 gaskets are not better than one. 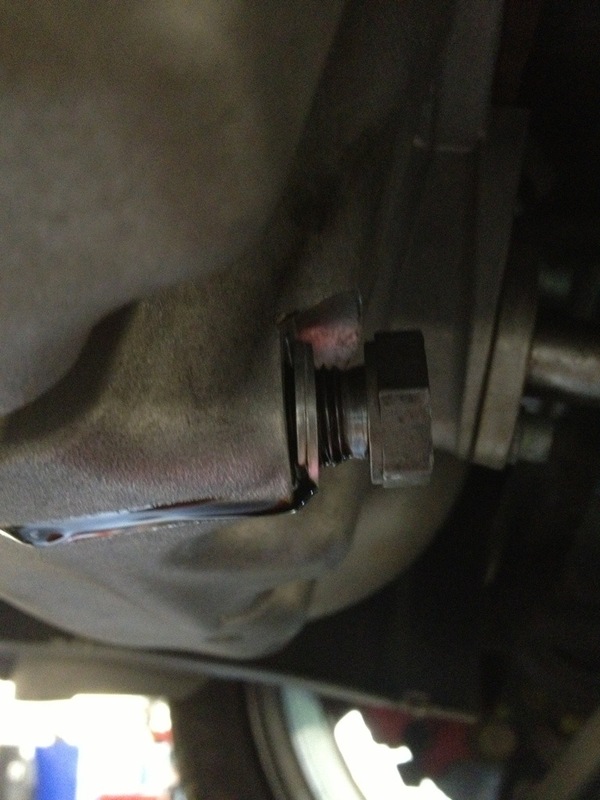 The crush washer takes up any space between the engine oil and and the oil drain plug. This also means that the drain plug is not properly torqued. Luckily it there were no issues. But that did not stop me from harassing the guy that did it. Okay, this may in fact be the coolest thing on the planet. If you have followed the blog, or know me at all, you know that I LOVE craft beer. Seriously, it is crazy. I also have an amazing wife that works in the beer industry(it’s a tough life I know). Well she hooked up this super awesome beer holder from Growler-Box.com. 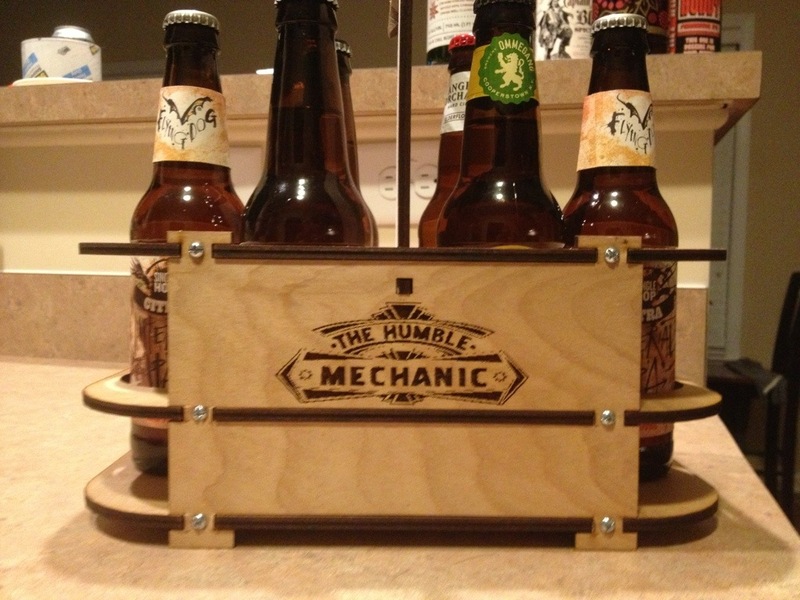 Mike was able to take the Humble Mechanic logo and make a custom 6pack beer holder. 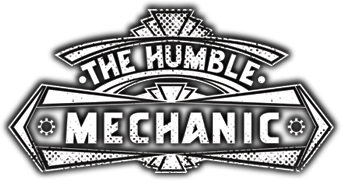 If you like beer, swing by his site and check it out. He also has a Growler-Box Facebook page go ahead and give him a like. I have also talked Mike into making me another one just like this. When I have the other growler box(I am not giving this one up 😉 ) Mike and I are going to do a fun give away. I will do a post about it, so stay tuned. That pretty much wraps up Shop Shots. Sorry for the site issues last week. I am really glad things have been repaired. Thanks for hanging in there everyone. Also, be sure to stay tuned for that Growler-Box give away. 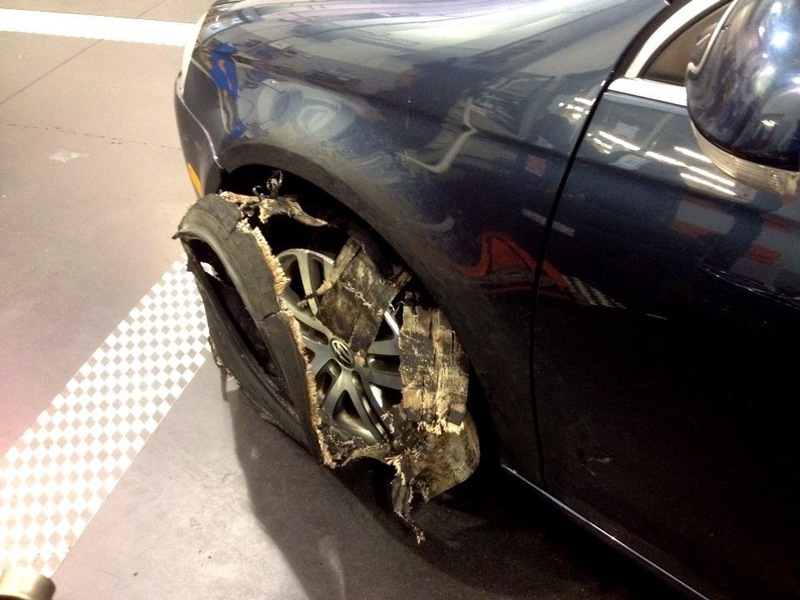 Wow, I knew about dry rot on tires, but I hadn’t seen pictures on one failing before. Must have been a scary ride. I like the beer holder. Wow this is really nice post. I like beer holder too.